IB, the name has become a fashion statement in the filed of education standing for premium quality and of course costlier/expensive schooling in metro cities of India. 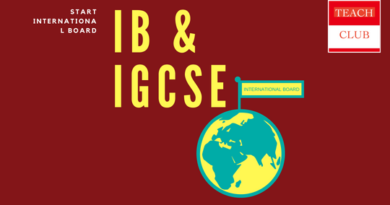 Apart from Metros, places like, Raipur, Coimbatore, Indore, Chandigarh, Lucknow, Ranchi, Bhubaneshwar and other tier two cities of India also have at least one IB school. IB, which is a short form of ‘International Baccalaureate’ and often the Parents find it difficult to even pronounce the full form. IB however is a curriculum to flaunt and to show as status symbol for those who can afford. There are schools in India which charge between Rs. 35000-60,000 per month as IB Diploma Program Fee and places like Indore where Choithram International School charges Rs. 11500 per month for IB PYP and MYP program. 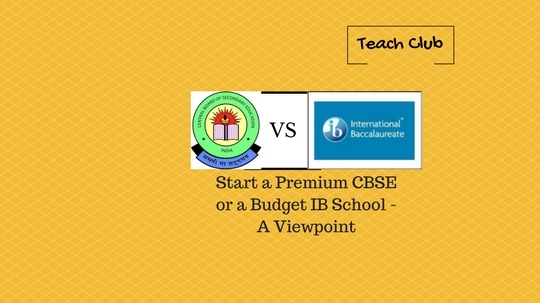 There is a huge confusion among parents and school promoters about IB being an expensive board and many parents also feel that IB is only for those students who plan to study abroad post their Diploma (equivalent to class 12). Some even say that Indian universities do not acknowledge IB Diploma as qualifying criterion for admissions in their courses. In this article we have tried examining the scenario. The point here is not that IB schools are expensive however there are many so called premium CBSE Schools in these Tier II towns who are charging the similar kind of fee and trying to claim that their pattern of teaching is similar to the International teaching standards i.e. IB. If this is the case, then why aren’t the school promoters or edupreneurs in India are starting a genuine IB school than a Premium CBSE school and trying to be in the “me too” category. We firmly believe that “Budget IB School” will be the next big revolution rather than “Premium CBSE School”. IB has been growing faster than CIE (Cambridge) that has now made CIE (Cambridge International Examination) A levels (Read class 12 Boards) almost redundant in India. Noteworthy to mention that Cambridge’s IGCSE still tops the chart as an option to Grade 10 Examination. Very transparent and school friendly affiliation system. No compulsion of running one board in the campus. (One of the pre requisites of ICSE and CBSE Affiliation) this helps in running an IGCSE and IB Diploma Combination. Lesser formalities for Land and Building Norms. (IB asks for quality in whatever is built rather than asking for minimum infrastructure. Very focused and aware parents. Lot of curriculum and teacher training support I comparison to national boards of India. Edge over other schools in terms of first choice of elite parents. One Time 14,000 SGD$ (For PYP,MYP & DP jointly. The cost analysis and the extra cost in running an IB school over CBSE in analyzed in the end of this document. There is a lot of confusion in promoters and parents regarding IB. Some say its not acceptable in Indian Universities, some say it is very tough to get IB affiliation, whereas the reality is just opposite. IB has parameters that, if fulfilled, it is very easy to get IB affiliation. The students have no issues in getting admissions in other boards/universities at any point of time. Please refer to Annexure No 1 to have a better understanding on this. Kindly Note – All the figures mentioned above are not official and have been taken or assumed after the secondary survey. None of the IB schools are upfront with their fee details on there website. At present, there are 197 schools in India offering a Cambridge education while 120 others impart the Geneva-imported IB programme and Maharashtra, with 109 IB and IGCSE schools, leads the tally, followed by Karnataka coming a distant second, and Tamil Nadu and Andhra Pradesh. CBSE Schools are considered low on charging fee when compared to IB. There is a wrong notion that CBSE Schools are better because CBSE board is widely recognized by Indian Universities and IB is not. This is not correct. Please find Annexure No 1 with this note, which gives an entire list of Indian Universities, which recognize IB as equivalent to 10+2 i.e. equal to CBSE Class 12 for admission in its courses. The second myth, which is that IB schools are expensive to run and leaves lower margin for the promoter, is wrong. In fact the IB schools have better margin and less hassle from the board and the government. If you add all the fee charged by IB on Annual Basis (Minus the Exam Fee, which the candidate will pay), it comes close to Rs. 22,00,000 per annum (calculated on the higher side) if you divide this with a school having 500 students, the extra cost per student is 4,200. Please find the Annexure No 2, attached with this note for better understanding of IB fee. Whereas in case if we start an IB School, we can easily charge 20-30 percent premium. So if we also consider the extra cost to for ID schools in terms of higher salary to teaching staff, we still would earn 10-12 percent extra revenue in the same infrastructure. And owning an IB school has a different joy altogether because you are not just another run of the mill school but you are a progressive and a global school.